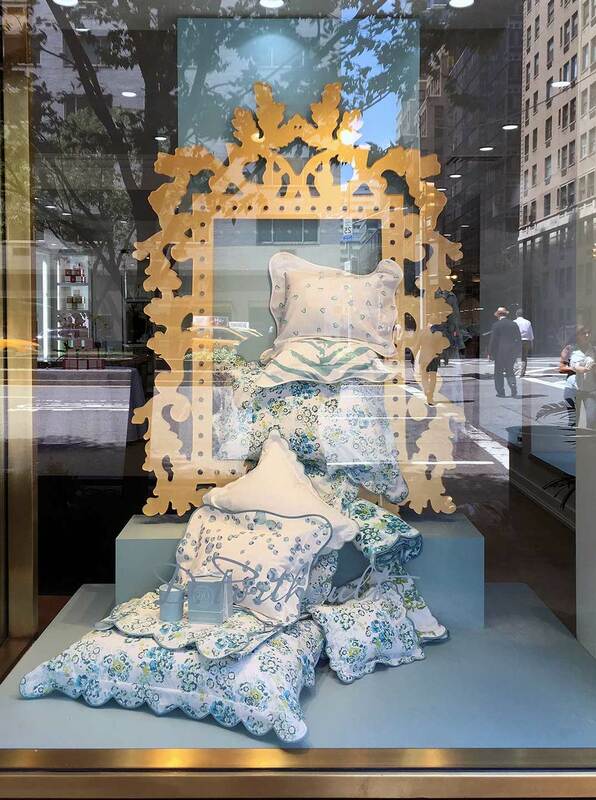 Frame of Mine — Geoff Howell Studio Inc.
Every great work of art deserves a beautiful frame and D. Porthault's gorgeous hand-printed bed and bath linens are no exception. Showcasing a flowery collection of garden greens and blues, Geoff designed 2 unique rococo frames for the artful products. These reverse painted thick plexi-glas frames are part of Geoff's new product line, available to order now!